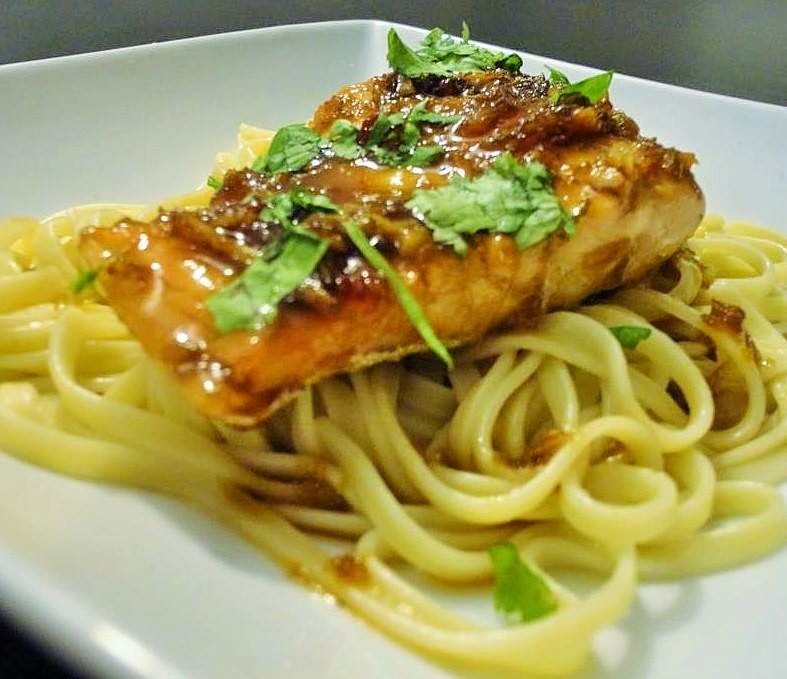 A simple salmon dish with dark soy sauce and Chinese noodles. 2. Mix together the dark soy sauce with honey, ginger, garlic and chilli. 3. Place the salmon fillets on a lined baking tray and spoon the sauce over the fillets. 4. Bake in the preheated oven for 15 minutes until the salmon is just cooked, and serve with noodles and chopped parsley.